The band worked with Brian Higgins - the founder of production team Xenomania, who are behind hits for the likes of Girls Aloud, Kylie Minogue and Sugarbabes - on their upcoming album 'Stay Together'. And when Ricky needed a female voice on the track 'We Stay Together' he used Sarah Thompson, the receptionist at the Xenomania offices, on the advice of Brian and his team. Speaking to the Daily Star newspaper, the 'I Predict A Riot' hitmaker revealed: "Sarah is a singer in her own right, but if you ring up Xenomania it's Sarah that answers the phone. "We needed a female voice on the song, and Xenomania suggested Sarah. She was amazing - and it was on the first day of recording the album." Ricky - who was a coach on TV talent show 'The Voice' - also revealed that working with Brian, 50, was so intense at times that he would sit in his car outside the Xenomania studios because he was nervous about the hard work ahead of him to create pop "magic". He added: "I'd sit in my car; not wanting to get out, saying to myself, 'Just another 10 minutes.' It was a tough day with Brian because, to get 20 seconds of magic, I had to sing for hours and hours and hours." 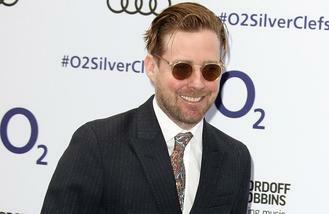 Kaiser Chiefs bassist Simon Rix, 38, believes making the decision to record with Brian has given the band a very different sounding collection of songs to what they have ever made before. He said: "Working with Brian gives us an album different from anything we've done." 'Stay Together' is the Kaiser Chiefs' sixth studio LP - containing the single 'Parachute' - and is due for release on October 7.